The Inn at Hastings Park, Artistry on the Green, is delighted to welcome Stacy Cogswell as Executive Chef at its restaurant Artistry on the Green. Stacy is a native New Englander with the gift of a global culinary perspective. She appreciates New England’s regional, seasonal cuisine, yet after time in East Asia, Europe, the Caribbean and Central America, she brings bold flavors and unique techniques to the restaurant. 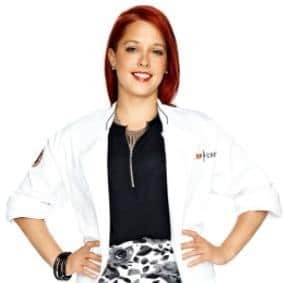 Earning her culinary degree at the prestigious Johnson & Wales University, Stacy has worked in the kitchens of some of the Boston areas’ most renown restaurants including Market by Jean Georges, Upstairs on the Square, and Liquid Art House. Stacy also has shared her culinary talents in other forums to reach broad audiences. Stacy is the author of The New England Cookbook, and she starred in Season 12 of Bravo’s critically acclaimed reality TV show, Top Chef.